I've read lots of blog posts on where to find authentic resources, but I thought I might add my own to the mix. Perhaps you'll find something on here you hadn't seen before. I've tried to sort these out by level (Novice-Intermediate, and Intermediate-Advanced). Authentic resources can be most difficult to find for novice learners, as the content is often too advanced for their level. As a middle school teacher, these are the resources I am most on the lookout for, therefore I do have some of those to share with you as well. If you'd like to add to the list, please post in the comments, and I will update the list. I will continue to update this post in the future as I find more authentic resources. I have written posts in the past about resources for French learners (although not necessarily authentic resources), so you may want to also read Soyez motivés, a post I wrote during my undergraduate studies which points you to a number of other posts I wrote about resources for French students, as well as Resources for Young French Learners Part I and Part II. I should point out that probably none of these authentic resources would be appropriate for novice or intermediate learners to read or listen to independently, but in with guidance and pre- and post- reading/listening activities, they can often be adapted to suit their level. Also, most of the novice and intermediate resources could be modified to suit advanced learners as well. La Griffe de l'info - An online newspaper for kids. Unfortunately they don't seem to have an RSS feed. 1jour1actu - A great online newspaper for kids with articles written at varying reading levels. Audio Lingua - While not exactly a blog, it does have an RSS feed. This is a great site with audio clips of native speakers talking about their lives. They are even organized by level. Géo Ado - Another great magazine for kids that publishes online as well. Le Blog de Julie - A magazine for girls 9-13, but much of the content is appropriate for either gender. Mon petit hebdo - An online newspaper featuring short articles written by kids. Scoop.it! Topics If you aren't familiar, Scoop.it! is a site that allows users to curate their own content from multiple sources. 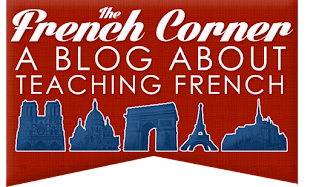 L'actualité de la francophonie - Where I curate articles for my students to look at. Publicités et infographies de la francophonie - Where I curate visual media for my students to look at. Disney Channel France - Lots of short advertisements and TV spots. Nickelodeon France - Similar to Disney Channel France. Le Huffington Post Québec - The Québec edition of this popular online newspaper. Le Huffington Post France - The France edition of this popular online newspaper. TV5MONDE - Informations - Another great source of news. 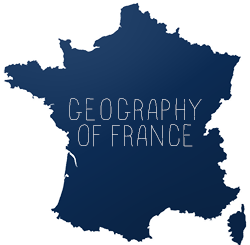 France-Amérique - Online edition of a magazine which provides stories of interest to French people living in the U.S. Le Monde - Online edition of the French newspaper. Le Figaro - Another French newspaper, but with a more conservative stance - could be used to compare and contrast articles with Le Monde. Les petits citoyens - An online magazine geared towards kids -- probably not appropriate for the high school crowd but would be good if you have younger students at the intermediate or advanced level. Ressources pédagogiques pour l'école - Even more articles! TV5MONDE - Lots of news clips.